Dutch researchers have successfully developed nanowires which allows individual electrons to be captured by a ‘quantum dot’ on which superconductivity can take place. These nanowires could make powerful quantum computers. The combination of a quantum dot and superconductivity makes it possible to create ‘Majorana fermions’, exotic particles that are their own antiparticle and which are regarded as an important component in the quantum computers of the future. 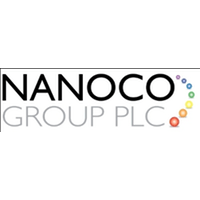 Nanoco (LON: NANO) harnesses the power of nano-technology to create a brighter, more sustainable future. Based on breakthrough science, Nanoco’s proprietary manufacturing process enables the large-scale production of its cadmium-free CFQD® quantum dots for multiple applications including LCD display, lighting, healthcare, nano-materials and solar.